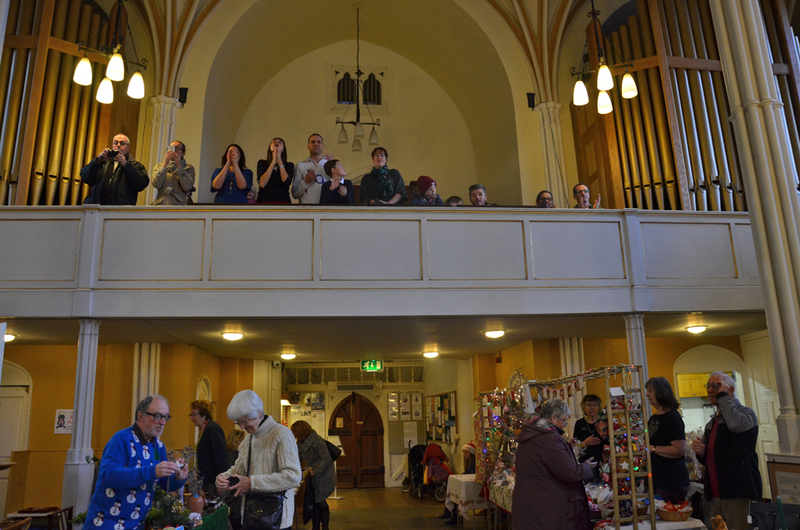 The Christmas Fayre at SMSG as part of the Stony Christmas Lights switch on day has become a much enjoyed event, it is impossible to estimate but we know we must have welcomed over 1,000 visitors to the church and hall during the day on 28th November 2015. 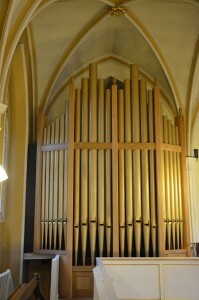 We had a variety of stalls (Golden Spot Tombola, Craft stall, bric a brac, books, plants and jam, charity stalls and the Wolverton & District Historical Society), the model railway, hot and cold refreshments (in the hall) and seasonal music all day provided by Russell Street First school (choir), St Mary and St Giles CE Junior School (choir and handbells), Queen Eleanor Combined school (choir) and SMSG Church band. 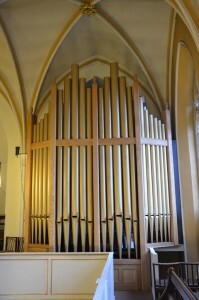 The Organ Fund Golden Spot Tombola, dreamed up in the early days of our organ fundraising by the much missed Sylvia Lovesey, raised an incredible £750 for the organ project. Kath, Marilyn and Pat had compiled 21 hampers and 100 other prizes from the collection of goodies which people donated in the weeks before the Fayre. 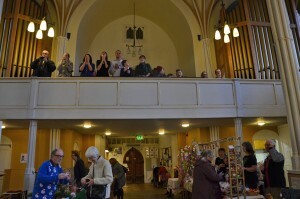 In the true spirit of Sylvia (who innovated the tombola slightly every year) the price this year was £1 per ticket (rather than £1 per ticket or 3 for £2 last year) and a chocolate was available for anyone who didn't win a prize. 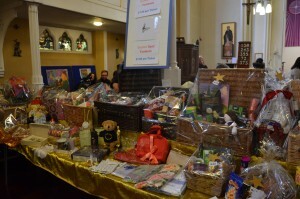 The hampers are so good that people knew they're getting value for money by trying their luck on the tombola and it was continually popular throughout the day. 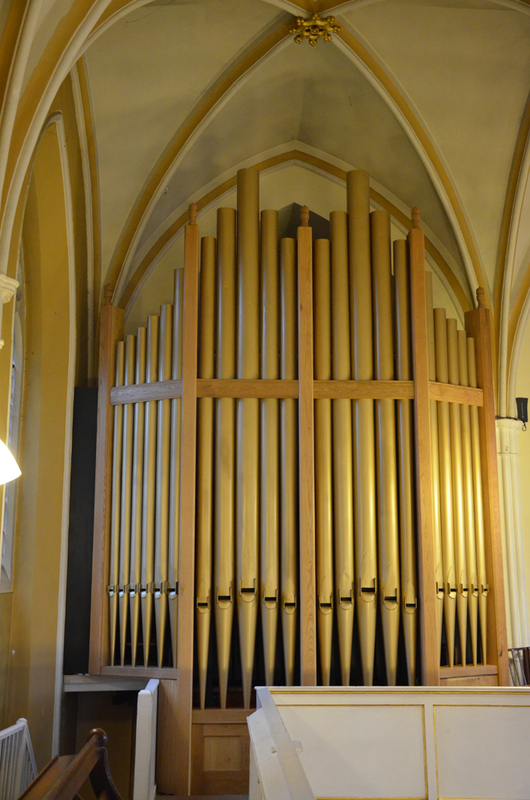 It was lovely that only the previous Sunday (22 November, St Cecilia's Day - the patron saint of music) the restored Willis pipe organ had been played for the first time in a church service since July 2014. 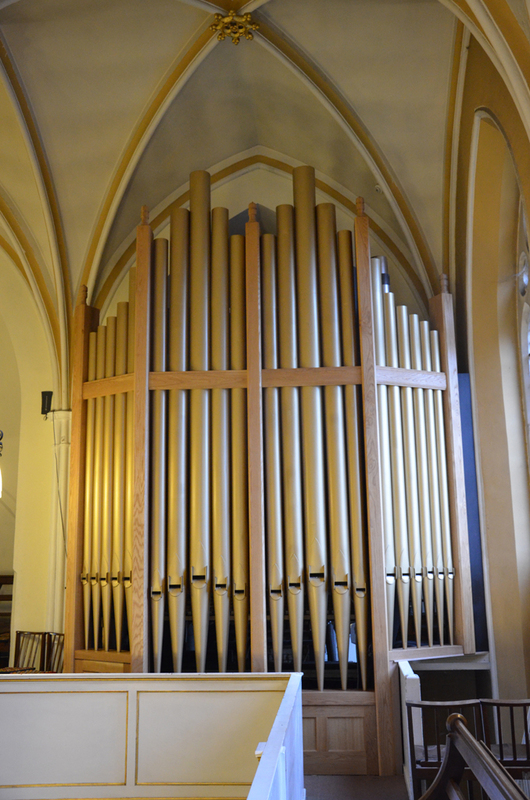 Since then the gold painted front pipes had been fitted into the new casework, so the organ was resplendent in the gallery, which was open once again for people to use after 16 months of being filled with stored pipes, organ action and tools. 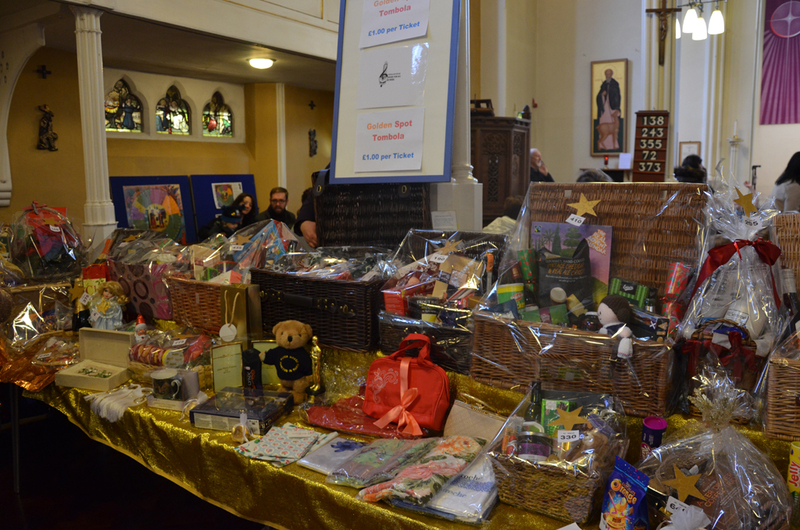 I would like to thank Kath, Marilyn, her friend Pat who made up the hampers, and all those who helped run the Tombola during the day. You did a fabulous job. 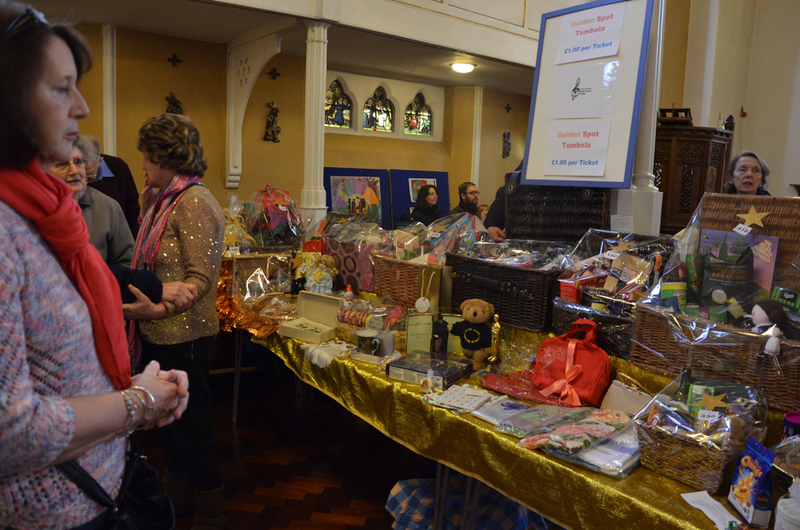 More photos of the Christmas Fayre 2015.